The intense fire threatened the Dandenong Ranges. 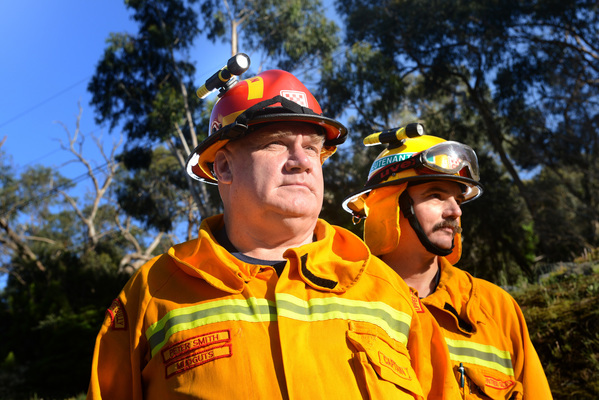 Upper Ferntree Gully Fire Brigade’s Black Saturday ordeal actually started on the Friday. 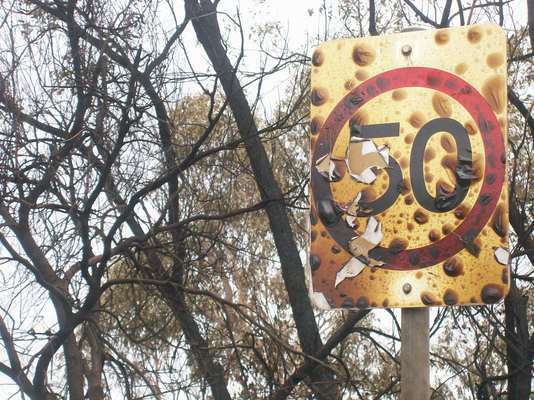 Captain Peter Smith said one of his trucks was already away on a strike team down at the Bunyip State Park fire when 7 February 2009 dawned. “We were one truck down, like a lot of brigades in the hills,” he said. “We knew it was going to be bad. “We prepared the best we possibly could. “But I don’t think anyone anticipated the strength. Mr Smith said there was an eerie feeling around Upper Gully. “There was a sense that something was going to happen,” he said. About 2.30pm the station siren went off. A fire was burning in Quarry Road, at the foot of the Dandenongs. “A big cloud of smoke was there and we got out there, and it was on for young and old,” he said. Mr Smith said everyone at the firefight was from a local CFA crew. “We knew the consequences if we didn’t pull it up,” he said. “It was some of the best firemanship I’d ever seen. A tree fell on the Belgrave tanker and trapped one of the crew members, breaking his back. “Our chainsaw operator had to cut the branch,” Mr Smith said. They did get a lucky break, when a water-bombing helicopter flew over and dropped water onto the blaze. “He did an absolutely marvellous job,” Mr Smith said. “He saved the house that was right on the corner and really, really did the hard work for us. From there, the Upper Ferntree Gully team went over to a grass fire at Narre Warren North that destroyed several houses. He said the crew’s first taste of summer had come from a car crash on Churchill Park Drive in Endeavour Hills that sparked a grass fire. “We were second truck on-scene,” he said. “I had 21 guys there. Six guys were taken out with heat stroke or stress, two in hospital. “We weren’t the only brigade that suffered. A fire in Nixon Road, Belgrave South, on 23 February destroyed one of the brigade’s tankers and very nearly claimed the lives of three firefighters, including Mr Smith. “The conditions were worth with the fuel load so dry – it was drier than on Black Saturday,” he said. This year, he fears the ‘summer’ fire threat will stretch until the end of March.